Everybody wants that extra help in the form of a supplement – especially something that is going to have anabolic effects. Well, I first mentioned a simple “superfood” that boosts your anabolic hormone profile back in 2008. It works better than any testosterone booster supplement ever formulated (in fact, I’m not sure any of those products work. No, not even tribulus terrestrus). But the truth is, the most anabolic “supplement” you can take, isn’t a supplement at all. Without a sufficient amount of fat in your diet, your body is simply unable to produce its own steroid hormones at optimal levels. This is why a permanent low-fat diet is a disaster for those of us trying to pack on slabs of muscle. Therefore, gains in size and strength can only be optimal if you are getting enough fat in your daily diet. This is just 1 reason why my free MANS and GLAD diets are so effective for packing on muscle mass (coupled with THT training). SO HOW MUCH FAT DO WE NEED? If you are on a carb-cycling diet, like my MANS diet, most of your daily caloric needs will come from fat. So you’ll undoubtedly be getting enough fat. On a higher carb plan (like my GLAD diet), you will be eating less fat. So how much is sufficient? I don’t see any reason why anyone should be getting less than 50g fat per day from natural sources. That’s a minimum amount by the way, not a target. On a diet like GLAD, this will be taken care of easily as you eat from the natural foods list. Fish, eggs, butter, red meat will make hitting this target a breeze. In fact, the GLAD diet itself is a breeze as you don’t need to worry about macronutrient ratios. All you need to be concerned with is your daily protein and calorie targets. After protein, the rest of your energy requirements will come from carbs and fat. So long as you eat the types of carbs recommended in the GLAD article, and couple that with real natural fats (no trans fats), that’s all you need to be concerned about. Macro ratios are irrelevant. GLAD is my preferred dietary strategy to go with my THT training all year round. Coconut oil (I even cook with it). Get it on Amazon here or MyProtein UK here. Sounds delicious, right? It is! 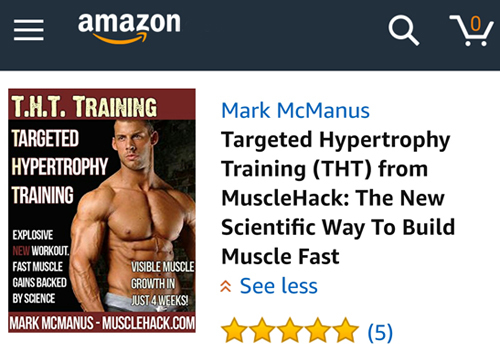 I know some of you will be new to MuscleHack and probably have not kept up with scientific findings about dietary fat. There’s nothing harmful about saturated fat or cholesterol. Even the mainstream is finally waking up to this fact. 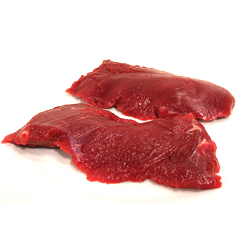 Even when cutting, you can easily get a sufficient amount of fat every day and get shredded. I credit at least some of fact that my clients routinely add muscle mass while cutting on my Total Six Pack Abs plan to the idea that their internal steroid production is still running at optimal levels despite being on lower calories (other cutting strategies completely screw this up and it causes muscle loss – disaster!). The trick is to start high and bring fat and carb intake down slightly week on week to ensure ongoing fat loss. We evolved and thrived on a diet high in the kind of fats that nature provided us with. Our genetics have not changed and so we STILL thrive (and add muscle) with the kind of foods nature provides for us. There is a great Australian documentary on this issue of the “biggest medical fraud in history” – the lipid hypothesis, which I’ve embedded below for you to watch. It’s fascinating. Subscribe to my YouTube channel here. P.S. 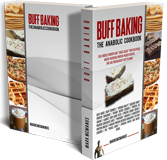 My Buff Baking anabolic cookbook is full of recipes to accommodate your muscle-fueling needs. Most other muscle recipe books are simply IMPRACTICAL. You don’t have all those weird ingredients…and you don’t have the time. Buff Baking also only uses natural ingredients! There’s Pancakes, Peanut Butter Cookies, No-Bake Peanut Butter Protein Balls, almost Zero-carb Pizza, Protein Chocolate Cake, “Popcorn” Chicken Bites, 3-Ingredient Protein Bread, 1-Minute Protein Dessert and more. See here for pics. 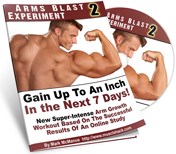 Free Workout Plan Builds Muscle & Fitness Fast! If you want to build muscle in the shortest space of time, you’re going to want to read this article. The workout plan I illustrate for you guys here will help you achieve your goal of maximum muscle in minimum time. Steroid use is on the rise worldwide. Here is an undercover documentary into steroid use in Ireland. Is the gear real? Safe? Who is taking it? Who is selling? If I only had 6 exercises to train my whole body for the best gains possible, this is how that workout would look. And it works! Low Carb Chinese Food – Seriously! 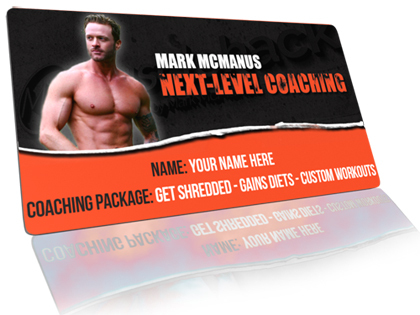 Yes I’ve been with musclehack from around 2010 and the first thing I did was increase my fat intake. I was always kinda paranoid of it before that. I added more muscle from that time, there’s no doubt about it!